This trip ran in Fall 2017 and we had a great time. Stay tuned to the website for future trip or contact us for private/custom options. One of the tallest trekking peaks at 6419m. We travel through the famous Annapurna Range and will ascend to the summit via the beautiful, snow covered northwest ridge. To reach our destination, we will trek for 10 days through the Annapurnas and the spectacular north valleys. We will travel through the beautiful villages of Dharpani, Chame, Hunde, and Manang. 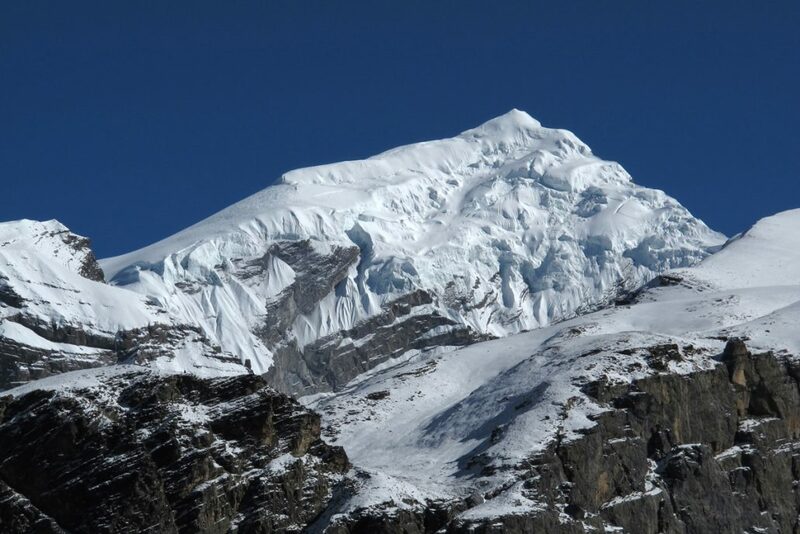 After leaving the valleys and the town of Letdar, we will reach basecamp at the base of the northwest ridge. Those not up for the climb can trek to the beautiful mountain lake, Tilicho Tai. We will return to the Annapurna circuit over Thorong La pass and a short flight to Pokhara and then on to Kathmandu.